The more I read of Gary Taubes' book Good Calories, Bad Calories, the more I realize that Atkins was not only right, he was profoundly right. By this I mean that he had the right idea and the right approach in the midst of a sea of darkness and wrongheadedness which surrounded him and which surrounds us still. That sea of darkness consists of the muddled thinking of the medical establishment. Do you know why J.D. Salinger retreated to Cornish, New Hampshire? One of the reasons was that he was fed up with the way things were working in New York and in the world in general. He hated the idea of doctors and didn't trust them. I thought his skepticism was funny the first time I read about it. But the more I think about it the more I realize you have to think for yourself. Atkins thought for himself — that is, he thought original thoughts, or at least thoughts that went against the grain. That's why I'm eager to read his book. Good health is essential for driving because you need good eyesight (which requires vitamin A and lutein), good eye-hand coordination, and good short-term memory — the latter two items can be improved with pregnenolone. I'm a good driver, in fact I've been thinking of becoming a professional race car driver, but I admit that I'm not as good as someone like Mario Andretti, yet I still love driving, and that interest extends to all types of motor vehicles, including sport utility vehicles, recreational vehicles, and motorhomes; which, as you can guess, are rather different from the fast sports cars you might imagine I'd be driving, and yet in my endless pursuit of driving excellence, I've been looking at a site that markets these vehicles, Motorhomes. Oh, what a fool I've been! What a fool and a silly person. I fell into the trap I've warned people against for years. 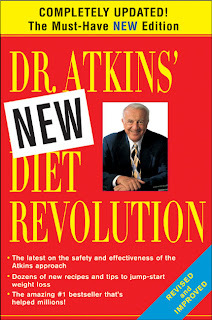 I believed all the disinformation about Atkins, all the ridicule, all the nonsense the medical establishment hurled against him. When all the while he knew that saturated fats don't really harm you. Mary Enig had said it. Udo Erasmus had said it. Lester Packer had said it. Ray Kurzweil and Terry Grossman, M.D. had said it. Saturated fats are not the villain they're portrayed to be by the medical establishment. They don't clog your arteries. They don't cause heart attacks and strokes. They don't make you fat. Oh, what a fool I've been to have ignored Atkins for so long when in reality he was right about almost everything. Now I'm dying to read his book. He has been vindicated in Gary Taubes's magnum opus Good Calories, Bad Calories, which makes a convincing case that Atkins was right, the medical establishment was wrong, and, by inference, I was a fool. I began reading Tom Swift books, such as Tom Swift and his Flying Lab, Tom Swift and His Rocket Ship, and Tom Swift and the Visitor from Planet X, and from there I progressed to Edgar Rice Burroughs, Ray Bradbury, and other science-fiction authors. Once I had developed an interest in these writers, however, I progressed quickly to reading anything and everything in any genre, including nonfiction and poetry. Because I know the value of reading, as I have discussed elsewhere in this blog, I would have to say that my most memorable vacation was the day I spent in New York City last week, at which time I went to the Strand bookstore, the world's largest used bookstore, where I met the poet W.H. Auden in the poetry section. What a surprise! Turns out, however, that it was an Auden impersonator, but it was almost as good as the real thing. Next time I go to New York, I may just use the travel site Trusted Tours & Attractions, which provides online travel guides, has information on Madame Tussauds wax museums, and which talks about things to do in New York, among other cities. To keep up-to-date on the latest travel deals, you may wish to visit their newsletter sign-up page. If you sign up for it you'll have a chance to win a handheld GPS or other great prizes. Click here to listen to your computer talk to you. The experience will prove to you that the future has finally arrived. And when you realize that, you'll know there is the possibility for amazing things in the next few years in the field of nutrition, genetics, and nanotechnology. I recently came across the exciting news that it's a myth that salt causes high blood pressure, and as a result I've been enjoying adding more salt to everything. This myth was exposed by science writer Gary Taubes. If you don't have high blood pressure, feel free to add salt to your food to taste, meaning to the point you like it, or as much as you want. Especially if you exercise a lot in the summer you'll probably need more salt. Just read a fantastic article in The New York Times by Gary Taubes (author of Good Calories, Bad Calories) in which he argues that Atkins was right! Put more simply there is now convincing, though not conclusive, evidence that the cause of most diseases — including obesity, diabetes, heart disease and cancer — is carbohydrates and their effect on appetite and insulin. The reason there isn't conclusive evidence yet is that most physicians hate Atkins with a passion and have ridiculed him and his work. But if you have any interest in health, you owe it to yourself to take a look at this article, which, along with Taubes's book, are probably two of the most important things I've read in the past ten years. The article is "What If It's All Been a Big Fat Lie?" You can also hear Gary Taubes talking on a great new blog I discovered about the value of low cab diets. The blog is Jimmy Moore's Livin' La Vida Low-Carb and it's excellent. I'm looking forward to listening to his conversation with Gary Taubes, which you can listen to here or download to your iPod. Taubes makes a good case that cutting the carbs and eating fat (including steak, bacon, and cheese) will help you lose weight and improve your health profile in every way. Sounds like good science to me. And I also like the idea that I can eat steak, butter, and cheese without feeling bad. Pamela Cross is one of the few women from the 1960s who was ahead of her time, who wandered about Pensacola, Florida in a simple print dress, mumbling words from Hindu texts she found out about by reading J.D. Salinger, books such as the Ramayana and the Tibetan Book of the Dead and the Heart Sutra — the kind of girls you'd find today in a graduate school, hanging on by tooth and nail because the whole process was driving her mad with rules and regulations when all she really wanted to do was get to the heart of the matter and find the truth. A girl like Pamela Cross is hard to find today for the simple reason that she was keenly in touch with her senses. Today that's a rarity, except in the young, those under thirty. Pamela was blessed with good genes, and even in her later years was aware of the beauty of music, the dazzling highlights and tones and tints of color that assaulted her wherever she turned her eyes, and the delight of balance and dance and movement. If you want to get to where she is, you might just like to try pregnenolone. My husband is always telling me things like, "You don't know vitamin E unless you know tocotrienols. There are eight isomers (or forms) of vitamin E: four tocopherols and four tocotrienols. The American diet is woefully deficient in tocotrienols. Good sources are hard to find in a diet that consists of hamburgers and french fries. You can get tocotrienols from palm oil and other supplements. Swanson makes a great one called Swanson Ultra Full Spectrum E with Tocotrienols. Lester Packer talks about the value of tocotrienols in The Antioxidant Miracle. They're good for the brain and research shows that tocotrienols can reverse -- yes, that's right, reverse -- clogged arteries!" I hear this morning, noon and night. Little does he know I take vitamin E every day. I don't need a lecture on its chemistry. I take it because it's good for my skin. I'm writing about Dante's Inferno in this health blog because I'm convinced that reading Dante can improve physical health. How's that possible? The reason is that reading lowers blood pressure, which is beneficial. Reading good books is more likely to relax you (unless it's a thriller or action type book). Dante's Inferno has been translated many times, but the best modern translation is undoubtedly that by Sandow Birk. It's written in clear language that sounds like your friend talking to you. I also recommend the Cliff's notes because they'll add to your enjoyment by explaining the background of the book and its use of symbolism. Plus they give you insights into Dante's life. For example, when he was 12 he saw a girl named Beatrice and fell in love with her from afar, never telling her how he felt, and his feelings for Beatrice inspired him and affected his work throughout his life. Maca has numerous health benefits including increasing energy, balancing hormomes, and fighting arthritis. A substantial amount of research indicates that maca is a safe food from South America, originally used by the ancient Inca for energy and stamina in battle. The easiest way to take it is simply to scoop a heaping teaspoonful into your mouth and then immediately sip some water and swallow the mixture. Most people, however, mix it with water or juice. You can't really take too much or too little maca because, like any food, the quantity is up to you. Most South Americans consume maca from once to three times daily. For more info on maca visit peruvian-maca.com. 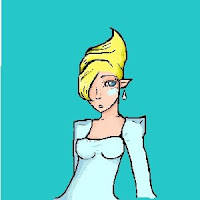 This site also explains how to use it. 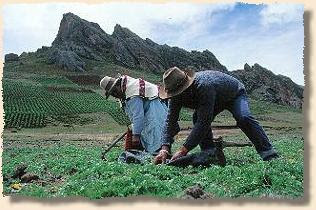 The photo shows Peruvians harvesting maca in fields where it grows at high elevation. The photo is from a useful Web site with more information about the herb. Very well known in South America, maca is becoming increasingly popular in the United States. Readers of this blog are kept on the cutting edge of research into new herbs and find out about them years before they catch on. There are serious problems with the currently accepted theory of the universe. The videos you can see in this link reveal that the dominant force in the cosmos is not gravity, as most scientists think, but rather electricity. This subject is not just for scientists. Any thinking person can understand these concepts and come to their own conclusion. See the videos here. Reference: The Electric Sky by Donald E. Scott. Wishing happy birthday to all whose birthday it is today, including my brother-in-law, Philip. Today in honor of your birthday, I'm including a short video clip with a possible breakthrough therapy, discussed by one of my favorite medical authors, Terry Grossman, M.D.. Dr. Grossman is a leading expert on anti-aging and life extension therapies and co-author, with Ray Kurzweil, of one of my favorite books, Fantastic Voyage: Live Long Enough to Live Forever. He explains how he used LDN (low dose naltrexone) to cure a patient who every doctor said would die of cancer. Why am I talking about such a grim subject when you're in tip-top health? Because this story is full of hope — hope for the future and for the miracles of medicine that are at our doorsteps. Within the next few years even more marvelous breakthroughs will occur, many by practitioners of alternative medicine. On a birthday, when we often reflect upon our own advancing years, it's inspiring to know that the potential for unlimited health is here. The second video is a news story about the amazing effects of LDN. Here's a fun test you can take in 5 minutes to find out how you score on the "Big Five" personality traits. Sometimes listening to music can be relaxing. This rare Led Zeppelin footage from 1969 is a must see for the way Jimmy Page bows the electric guitar, and for the way Robert Plant's voice mimics and blends into the guitar sound. If you like Zeppelin you'll love the book Hammer of the Gods. The two athletes who influenced me the most are Muhammad Ali and Arnold Schwarzenegger. Both are heroes to me and both inspired me to do my best work in the gym and on the road. Not that I've achieved much in athletics. I'm just an amateur. But I enjoy training, both aerobically and anaerobically, that is, with cardio equipment (like treadmills, elliptical machines and arc trainers) and with weights and Smith Machines. The video shows Arnold in the gym. You have to love his dedication. One of the worst things you can drink is juice. I'll explain why in a moment. Since it's almost summer soon, we need to drink even more water than we did in the winter. Why? It's very important to keep hydrated so that the lymphatic system functions properly. If you don't drink enough water you might want to jump on a trampoline, like Terry Grossman, M.D., to keep your lymphatic system running smoothly. But back to the question of why juice is so bad. The reason is that juice is mostly simple sugar, and sugar causes a spike in insulin levels. The ills that insulin can cause in your body are so numerous I could write a book on the subject. Suffice it to say that you don't want to increase your insulin levels. About the only things worse than juice are soda and alcohol. I personally drink Dasani, Perrier, Pellegrino, Poland Spring distilled water, and any brand of club soda or carbonated water on sale. One final tip: avoid anything flavored, even zero-calorie flavored water. The reason is that flavor (even so-called "natural flavor") almost invariably contains MSG, which can kill brain cells, according to Russell Blaylock, M.D., author of Health and Nutrition Secrets that Can Save Your Life. More on this important subject in an upcoming post. Cinnamon is good for your blood sugar levels, especially if you have diabetes or are at risk of developing diabetes. Cinnamon is also one of the tastiest spices, so it's easy to take this supplement — just add it to your foods or take it plain. Scientists have found that a dosage of from 1 to 6 grams works best, with those taking the most getting the most benefit. (One gram = about half a teaspoon.) But cinnamon contains coumarin, which is potentially carcinogenic in large dosages. Now there's an even better alternative than taking cinnamon directly. It's called Cinnulin PF, an extract of cinnamon that's guaranteed to have only a negligible and harmless amount of coumarin. 1. Cinnamon – Your Blood Sugar’s Best Friend, an article by Patrick Holford, Britain’s best-selling author and leading spokesman on nutrition. 2. Manufacturer's info on method of action and dosage for Cinnulin. 3. Press release on Cinnulin. 4. Best price on Cinnulin at Swanson Vitamins. There's one thing nobody tells you in the health business. And it's simply this: taking vitamins won't make you feel any better. It may improve your health, it may quench free radicals, and it may boost your immune system, but it won't make you feel any better, except maybe psychologically. If you actually want to feel better, improve your memory, and work more energetically you need smart drugs. I'm referring to a class of natural substances that can boost brain function and mood without harmful side effects. Smart drugs, also known as Nootropics, will make you remember better, think faster, and feel better. Yes, unlike simple multivitamins, smart drugs can actually have an effect that you'll notice, often within minutes. Just to give you two examples: vinpocetine is a smart drug, and so is tea. Vinpocetine will speed up your brain by delivering more oxygen to your neurons. A cup of tea will supply Theanine, which can improve your mood. There are many other smart drugs, too many to list here. We'll talk more about this in future posts if people are interested. 2. Mechanism of action of vinpocetine. Acta Pharm Hung. 1996 Sep;66(5):213-24. 3. Book: Mind Boosters: A Guide to Natural Supplements that Enhance Your Mind, Memory, and Mood (New York: St. Martin's 2000) by Ray Sahelian. Zzzzzzzzzzzzzzzzst! That's the sound of my microwave. I used to love it. It felt like I was charging my batteries when I zapped my food. I was impressed with how hot everything got and how fast it all happened. But recently I've had second thoughts. It has come to my attention that microwaving destroys important food nutrients and food constituents in a way that cooking with fire or oven heat does not. And, possibly equally alarmingly, deleterious microwave radiation may actually leak out and do much more damage to human tissue than was previously thought. So, now I just use my microwave as a clock.